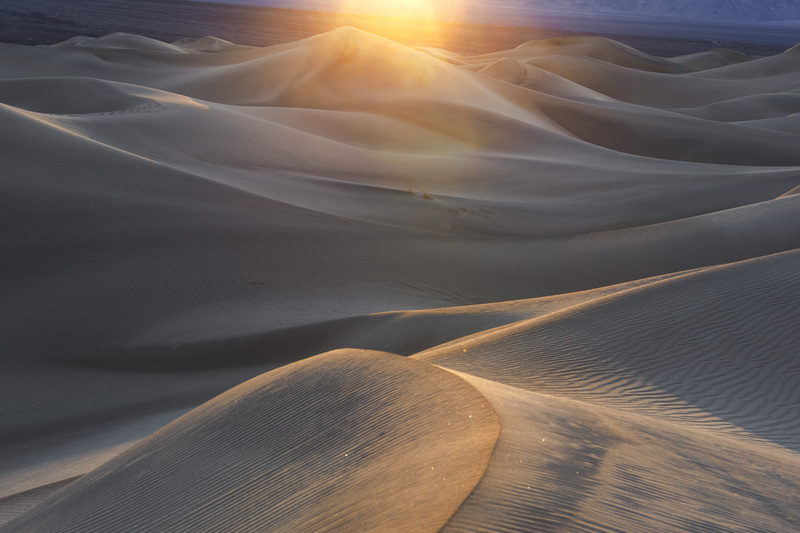 I went to explore the light on the dunes at Mesquite Flat in Death Valley. I was taking close up shots of the highlights on the dunes when I noticed the sun was setting right over one of the ridges I was shooting. I thought "what would it look like if I included the sun flare?" I only had about a minute to shoot, and this is what resulted.